Black Pearl shown with PB-24 Burner. concerned. These direct vent gas fireplaces are equipped with state of the art pilot and burner shut-off systems. The gas delivery valve is connected to a thermopile and a thermocouple to monitor the pilot flame – the gas flow can be shut off in 30 seconds or less, if there is a loss of flame. Every Enviro zero-clearance gas fireplace has a self-closing pressure relief system designed to dissipate pressure in the firebox if the pilot safety system fails and delayed ignition occurs. 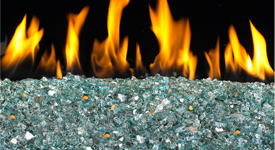 Each gas fireplace glass door is made with 1/5” thick ceramic glass. 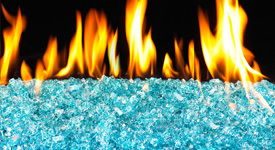 Industry regulations state that a fireplace must withstand one maximum delayed ignition without breaking the glass. On all Enviro gas fireplaces, we’ve engineered in the additional capacity to pass 10 delayed ignitions in testing. All models use a direct vent system. This means that your Enviro gas fireplace or fireplace insert will be completely sealed and independent of your house envelope, as it uses only outside air for combustion. Adirondack Stoves is an authorized Enviro gas stove, fireplace and insert dealer. These efficient, reliable and attractive heating alternatives are environmentally friendly and range from free-standing to zero-clearance models. 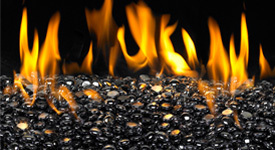 Enviro offers many alternative heating options in Gas Fireplaces, Gas Fireplace Inserts, and Freestanding Gas Stoves. With efficiency, reliability, and beauty always in mind, we have what you are looking for. All products are suitable for Natural Gas or Propane, and are available in a range of BTU inputs (from 20,000 BTUs to 50,000 BTUs. We offer many possible finishes, trims and color options on our freestanding models, fireplace insert models, and zero clearance fireplaces. Adirondack Stoves is a licensed Enviro dealer, offering gas stove, freestanding fireplace and fireplace insert sales, installation and service throughout Albany, Schenectady, Clifton Park, Saratoga, Troy, the greater capital region and the adirondack north country.